Are you a Cat Lover? Are you a Making Fun Of Cat Lovers Lover? Say hello to your newest favorite sock. These outrageous (in a good way!) 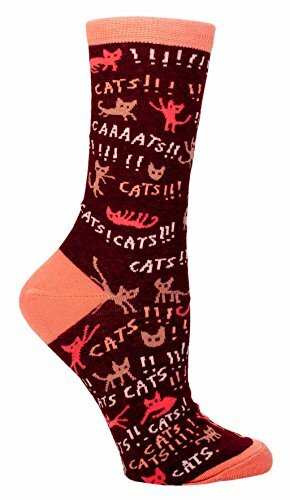 socks are made of high-quality combed cotton so you can wear them over and over, for as long as your cat shall live. Women's shoe size 5-10. 40% combed cotton, 58% nylon and 2% spandex.